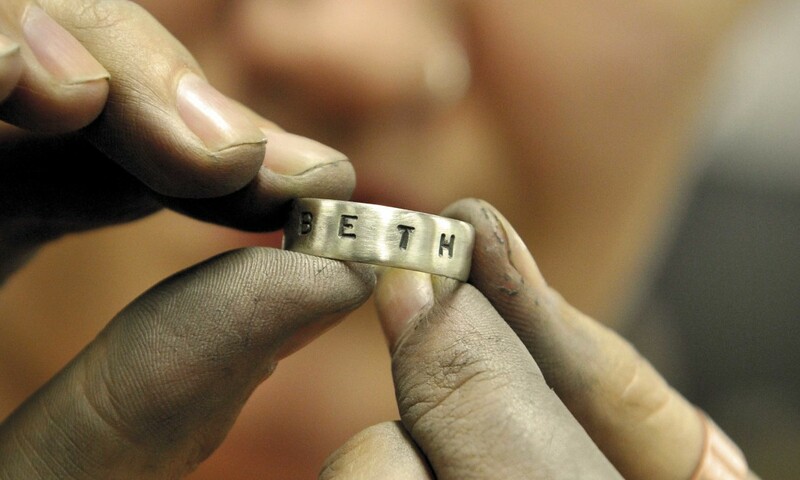 A jewellery making course that’s perfect for beginners! Learn how to make both traditional and contemporary jewellery pieces in CAE’s highly popular jewellery making course. Learn how to make rings, brooches, pendants and earrings using various materials such as sheet metal and wire. Students will also learn techniques such as ring-making, wire techniques and saw-piercing. Perfect for beginners and experienced students alike. Basic materials included in the fee. Techniques and processes are demonstrated then undertaken by students in this very hands on class. Students can expect to make at least 2 items (more, if time permits) as guided by the tutor, eg. ring, brooch, pendant, earrings. Please note that this is a suggested outline for beginners and can be altered with negotiation depending on individual working pace and level of difficulty applied to each project. Students work in non-ferrous metals (copper – supplied) or may choose to work in precious metals (silver & gold – student to supply). Return students and those with more experience are welcome in the class where they can work on projects of their own undertaking at their own pace with assistance from the tutor as required. If you’re a new student you will aquire the knowledge and techniques to have made at least two jewellery pieces. You will also have gained an understanding of precious metals and how they relate to the jewellery industry. Return students can further build upon their skills and acquire further and more complex techniques. Whose this class best suited to? This course is perfect for beginners with no prior jewellery knowledge but also caters to more experienced students. It will be of interest to those who want to try their hand at jewellery making at a more professional level than that of a basic hobbyist. It will appeal to students with a desire to realise their own designs in non-ferrous / precious metals. 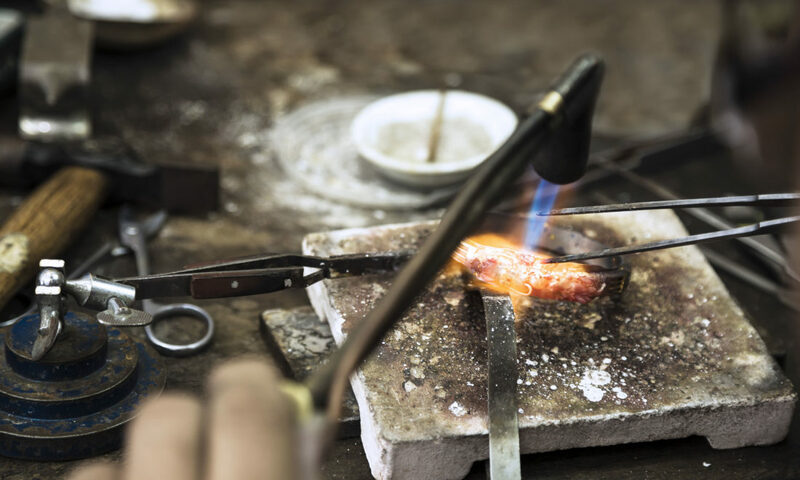 Continuing students, who have done this course previously or have prior experience in Jewellery Making, are also welcome to join the class to further their skill and knowledge by working on their own projects, with some guidance from the tutor. Sculptors and small scale silverware makers may also find some of these skills useful. Some design ideas or an aesthetic that you like – but if you’re not sure about this, the teacher can help you on the day. A base metal of copper is provided to work with and is included in your course fees. For any students interested in working in silver, information regarding where to purchase it will be provided by your tutor during the first class. This will be at students own cost (and is approx. $2.00 per gram). Continuing students will already have purchase information for silver from previous course notes. For safety reasons, please wear covered toe shoes (no sandals) and bring an apron or shirt to protect your clothes. Long hair must be tied back.